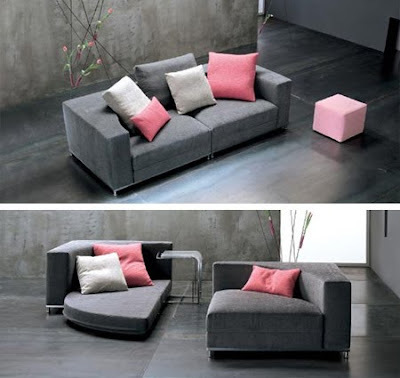 A sofa bed is quite common. But a round sofa bed, is very original creation by designer Sergio Bicego Saba Italia. 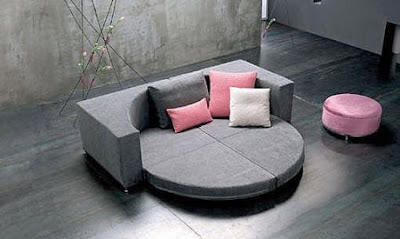 His secret: an asymmetrical seat sofa that opens to form a crescent, became twin perfectly round.